Counter Strike: Global Offensive (CS:GO) is a fast paced, first person shooter (FPS) game. Made by Hidden path Entertainment and Valve and released in August 2012. 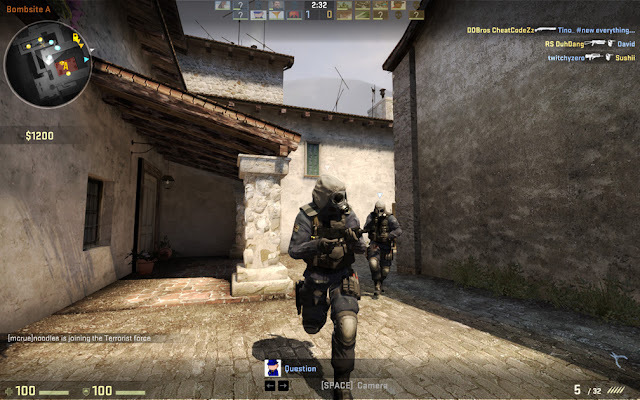 It does not really have a story per se, but the general objective of the game includes Terrorists and Counter-Terrorists, where the Terrorists need to plant the bomb and/or kill the Counter-Terrorists, while the Counter-Terrorists are required to kill the Terrorists and/or defuse the planted bomb. Because the game has a very competitive setting, the fact that it has a basic plot/objective works well. This is good as it leaves the opportunity open to have fun with the game with many different play styles or tactics, according to how you want to play the game. CS:GO is generally played on PC with a keyboard and mouse. It is different to other FPS games as it requires a lot of game sense and tactful thinking. Because of this the gameplay can be a bit slower in comparison to other FPS games. The combat system, in terms of various guns and aiming, is something that has quite a learning curve. Each weapon in CS:GO has its own 'spray pattern' in regards to their recoil. Because of this many new players take some time to get used to the most powerful weapons they should use and each of their spray patterns. With 2,000 hours played in the game, I've acquired the knowledge to understand each weapon, their spray patterns, their capabilities and I've also gradually improved my game sense, therefore eventually being able to predict players movements and discover my own play style in certain situations that occur during a game. 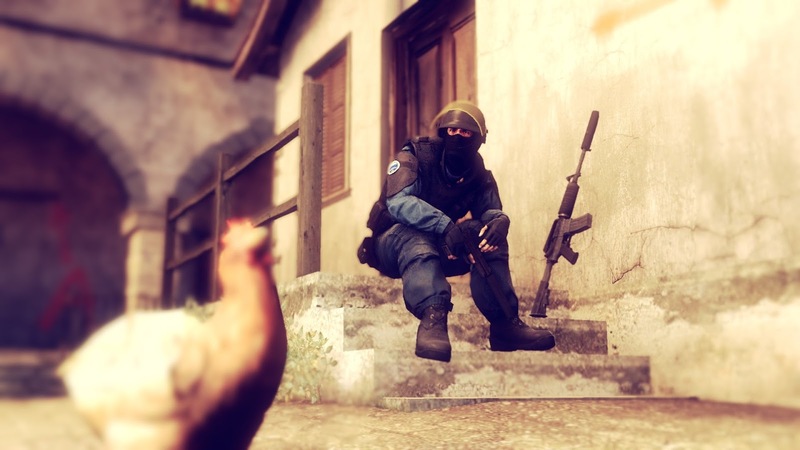 While CS is not a very graphically intense game, most players that play the game quite seriously, including most pro CS players, play the game with the graphics set to their lowest quality so as not to have distractions and also to achieve the best FPS (frames per second) available. Sounds in the game are very important and Valve have changed many of them over the last year. Almost all gun sounds have been updated and other sounds like footsteps, which are a very important aspect to the game in certain situations, have been changed. Most people, including myself, did not like the changes to all the sounds as it was thought that the game could have been given improvements to the player base, glitches or the anti-cheat system to cut down on the astounding amount of toxic players and cheaters in the game. Because CS is an online game it has high replay value. It's also a hugely competitive game in which you climb through ranks to get better and prove yourself, so people come back to the game to improve and achieve a better rank each time. 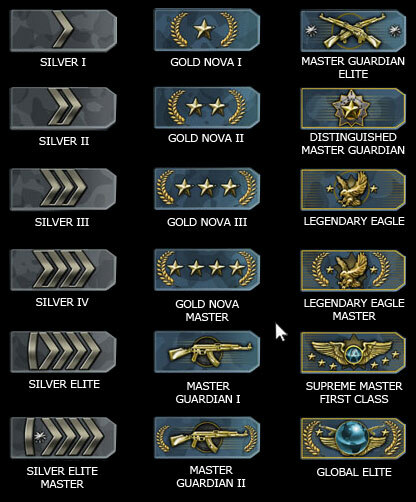 I think it's a good system as it has a wide variety of ranks and achievements. It makes you come back for more and it makes you want to practice and practice to get better at the game so you can feel proud when you reach your goal like going up in the ranks. There are a few points why I would recommend the game and some reasons I wouldn't. First of all, the game is very competitive so if you are a competitive person and someone who likes to watch their progress within a game, then this game is good for you. However, with such a competitive game with a chat feature, comes people who are overly competitive and may be toxic to their enemy or even their own team. By 'toxic' I mean unkind, rude or offensive towards another player, when typing in chat or speaking in game. As well as this, the game's price has come down from when it was first released and has also been on sale a good few times, this leads to some people who don't really care about the game to buy it for cheap and then download programs that allow them to cheat in the game. Unfortunately, this happens quite often. The game does have an anti-cheat system and a ban system, however the cheat programs can often go undetected. When a player comes across a cheater it turns the game - that is normally a fun activity for them - into a bad experience. In my opinion, the game is fun, I enjoy it and despite the fact that there are some issues, more with the players rather than the game, I still try to ignore those problems and play for the games in which I don't experience those issues, and I play well and I have fun with my friends.